There is nothing that makes me smile more than seeing my husband and my daughter together. They have such a special bond. It is beautiful to watch them. 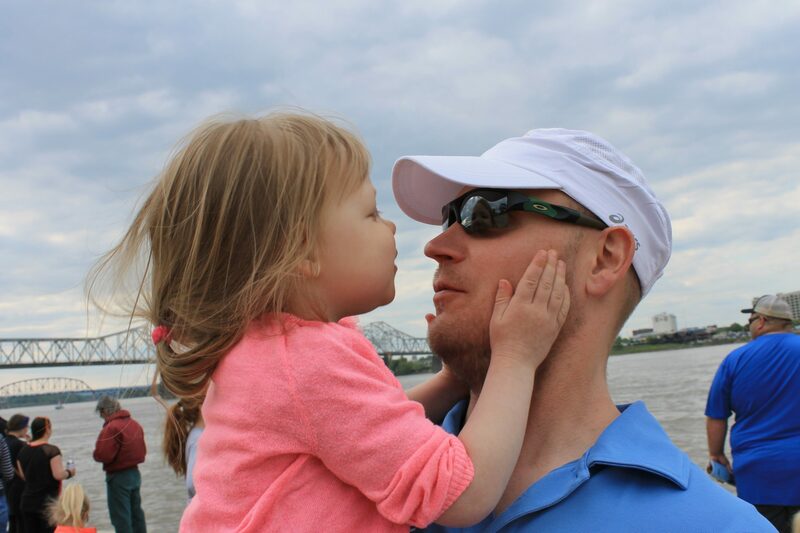 My hubby is a great husband, but an even better father. Next month is Father’s Day. To thank him for everything he does for us, my daughter and I have already started making crafts for our best guy. We made two #1 Dad trophies for daddy last night. We made one out of her sweet little foot. 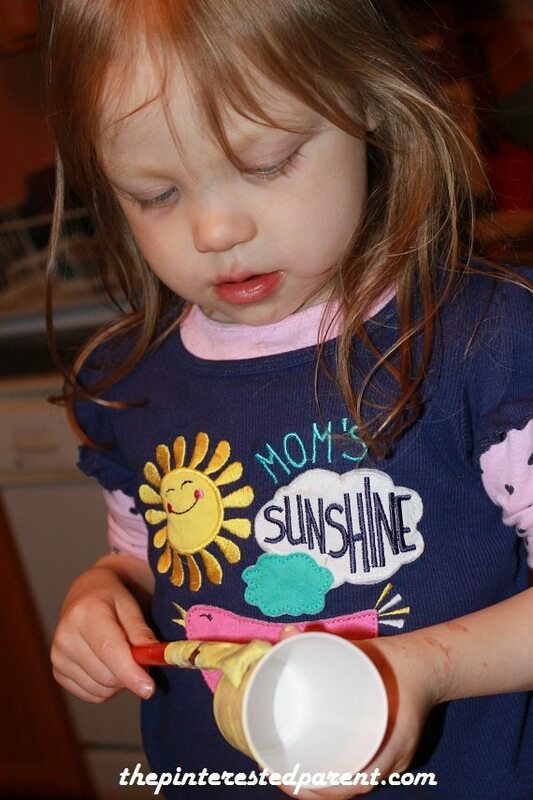 We painted her foot with yellow acrylic paint and pressed it firmly onto a sheet of paper. We used acrylic paint to paint in the trophy base and other details. We made another out of Dixie Cups. Choose a color for your trophy. Paint your Dixie Cups & a square of cardboard just large enough for the cup to fit on. Let dry. Glue one of the cups to the cardboard top side facing down. Glue a pipe cleaner around the rim of both cups. Glue the second cup onto the top of the other so that both bottoms are glued together. Glue another pipe cleaner around the seam where the two cups connect. 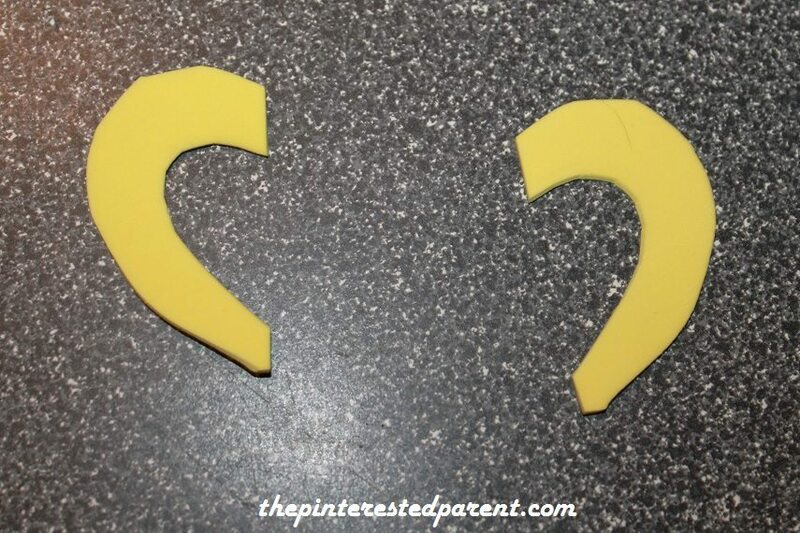 Cut a small shape out of a piece of foam or construction paper & write your message on it with your Sharpie. Glue to the center of the top cup. 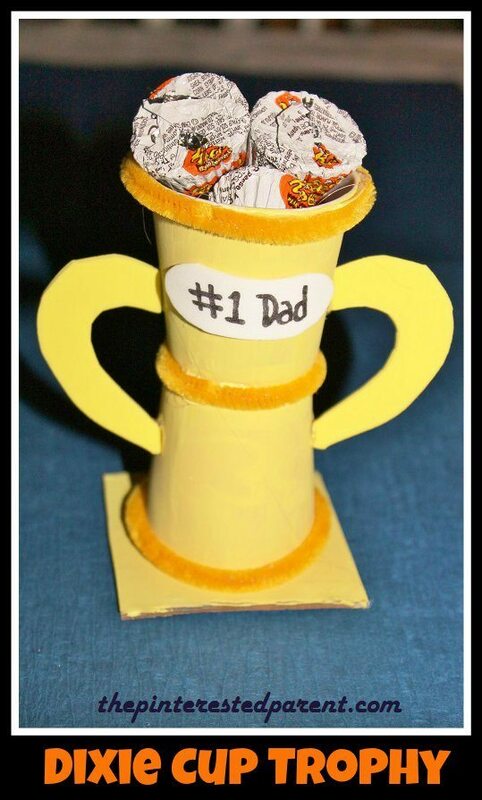 Cut out 2 handles for your trophy out of foam or construction paper & glue to each side of the trophy. Fill the top with daddy’s favorite snack. 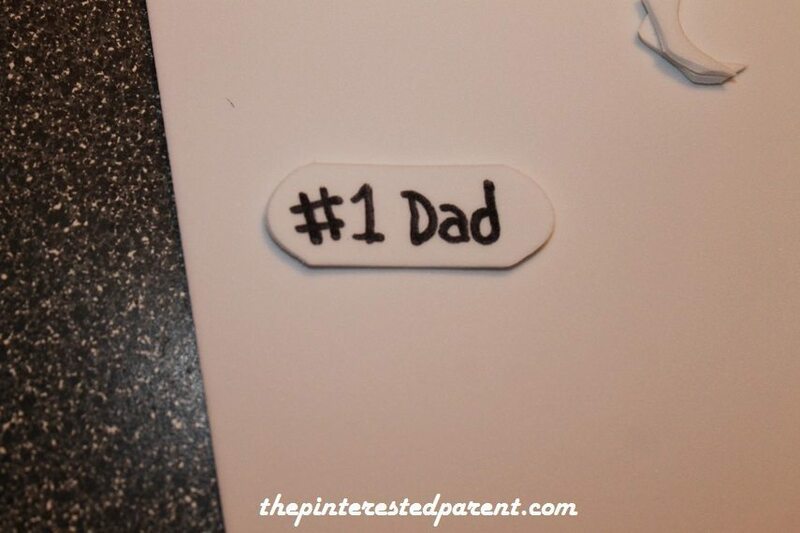 What great ideas for making homemade gifts for fathers. 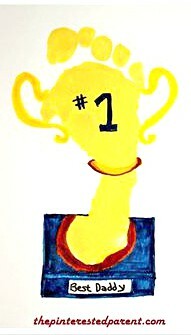 My husband deserves a trophy, too.